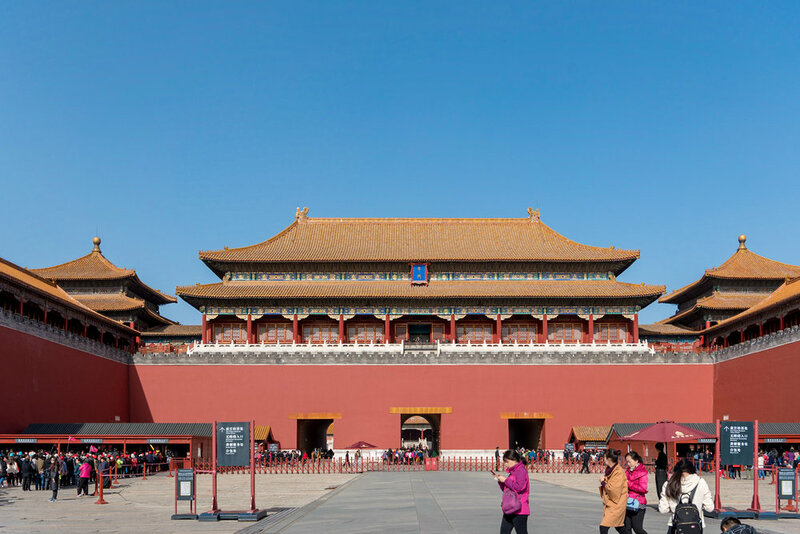 The Shutterwhale's Travel Guide to Beijing - What to See and Where to Go? Beijing is my favourite city in China so far and I absolutely love the food, the sights and more importantly, the rate of progress in this bustling city. Now, I am sure that many of you would associate the city with pollution (you know, the things you read off the internet) but I assure you that the air quality in Beijing is indeed getting better. 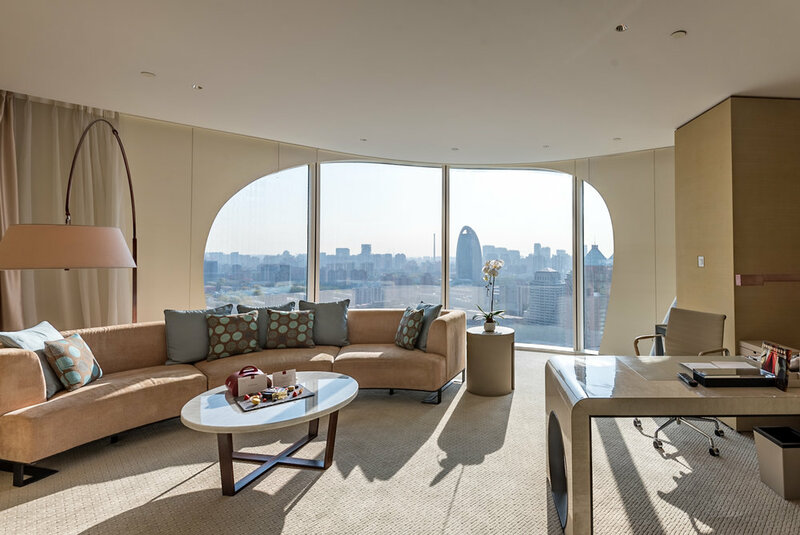 If you love luxury hotels, you will be spoilt for choice here - I really enjoyed my stay in an Executive Suite at the Conrad Beijing last year but if you are looking for something a little more affordable, I cannot recommend the Hotel Jen Beijing enough! If you are looking for a little bit of motivation to make that decision on miles redemption, check out my flights to Beijing in Singapore Airlines Suites as well as in Business Class. Now this travel guide is in no way exhaustive but I do hope it will help some people along the way - as usual, leave your comments below if you have any questions and I will do my best to help. I am extremely dependent on my phone - I use it to stay connected, to find my way (thanks Google Maps!) and more importantly to search for information when I am outside of the hotel. The censorship of Facebook (including Instagram) as well as Google (which includes Google Maps, Gmail and YouTube just to name a few) in China is well-known to travellers. One of the ways that I have gotten past these restrictions is via the use of a VPN service - the easiest way to set this up is to install an application on your laptop or mobile phone and the configuration should be fairly straightforward. On my latest trip to Beijing, I have had plenty of success with VPN Unlimited and even though it is not a free product, the paid version is fairly reasonable and they even have short-term subscription plans which are perfect for travellers. Looking for affordable data roaming in China? The StarHub Mobile Prepaid Card has a Happy Roam option which gives you 1GB of data for just S$7 - find out more getting cheap data roaming and around the great firewall of China here! InterContinental Beijing Sanlitun - This relatively new hotel (opened late 2016) is located right in Sanlitun which is a great area for shopping and dining. Expect to find plenty of international brand names around the area. I would highly recommend this property (in terms of location) if you are only in Beijing for 2-3 nights and you would like to make the best out of your time here. Rosewood Beijing - This property caught my eye as I was walking from the Conrad Beijing to Guomao (国贸) which is the CBD of the city. It looks absolutely inviting in a dark, masculine kind of way from the outside and the rooms are beautiful. Expect a high price point for this one (as you would expect from a Rosewood property) but this is definitely on my list of hotels to check out. 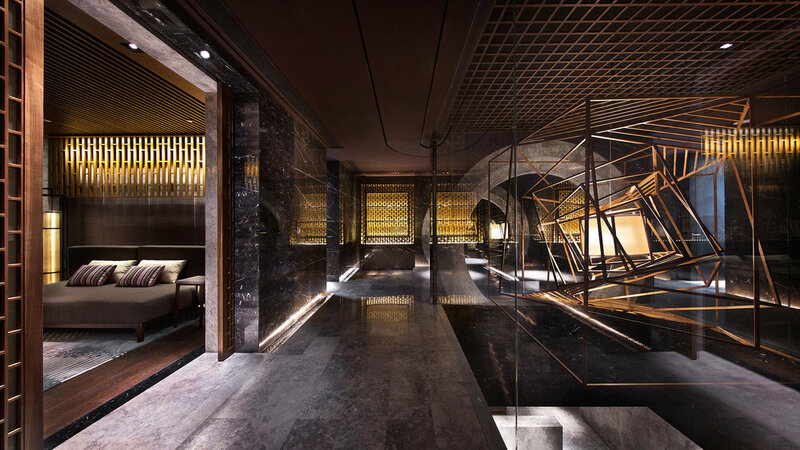 NUO Hotel Beijing - While a lot of travellers are probably unfamiliar with this brand, the property has made quite a name for itself in offering one of the best buffet experiences in Beijing. Perfect for those seeking out the arty side of Beijing - this property is also a short stroll away from the world-famous 798 Art District. You simply cannot go to Beijing and not check out one of the New Seven Wonders of the World - the Great Wall of China. The breathtaking manmade structure was built to keep out the invading Mongols and the entire wall spans over thousands of kilometres. Two of the most popular spots include Badaling and Mutianyu - from my understanding, the former location is most popular amongst the locals (domestic tourism is a big thing in China) since a lot of the stories happen on this section of the wall while Mutianyu is definitely a lot more touristy. There are also less popular sections of the wall that may require a little more trekking or navigating - if you are looking for an easy way out, I would recommend heading down to Mutianyu instead. Day trips to Mutianyu are available on Klook and it costs approximately S$45 per person - this includes transportation, tour guide, entrance tickets and lunch . If you have not used the platform before, signing-up with my referral link with give you S$4.20 off your first purchase. During my visit in November 2017, a ticket for a return cable car ride (you may choose to ride the toboggan down as well) was priced at CNY 120 (SGD 25) per adult. Now no one mentioned this to me and I really wish someone did but if you intend to visit the Gate of Heavenly Peace, make sure you bring your passport along! Also, be mentally prepared for crowd and I really mean be prepared because the number of people here (especially on a weekend) can be seriously intimidating. There will also be a number of security checks along the way so make sure you dress comfortably and have a small bag where you can place everything in. As I have mentioned, you will need to have some form of identification document on yourself and the passport is probably your best bet. I actually did not know this before I visited so I actually encountered some pushback from one of the security officers. With that being said, he was actually nice enough to let me through (speaking Mandarin helps!) without turning me away so thank you Mr. Security Man! Unfortunately, if you wish to take a perfect photo without anyone in the background, it is impossible. Read up on the history before going to gain a little more appreciation about the cultural and historical significance of this building. I am probably lying if I told you that I have visited the Forbidden City. Honestly, I was a little unmotivated to visit after seeing the crowd (and the lines that i have to wait in) outside of the entrance. Admission tickets can be purchased at the door but make sure you try to get there early so you are not met with the rest of the tour groups. The Temple of Heaven is one of the most well-known religious complexes in China and it was previously visited by the Emperors for annual ceremonies and prayers to Heaven for good harvest. An admission ticket is required and I believe I paid approximately CNY 28 (SGD 6) for an adult ticket which gave me access to the gardens surrounding the Temple of Heaven (which are really beautiful) as well as the actual temple itself. What to Eat in Beijing? 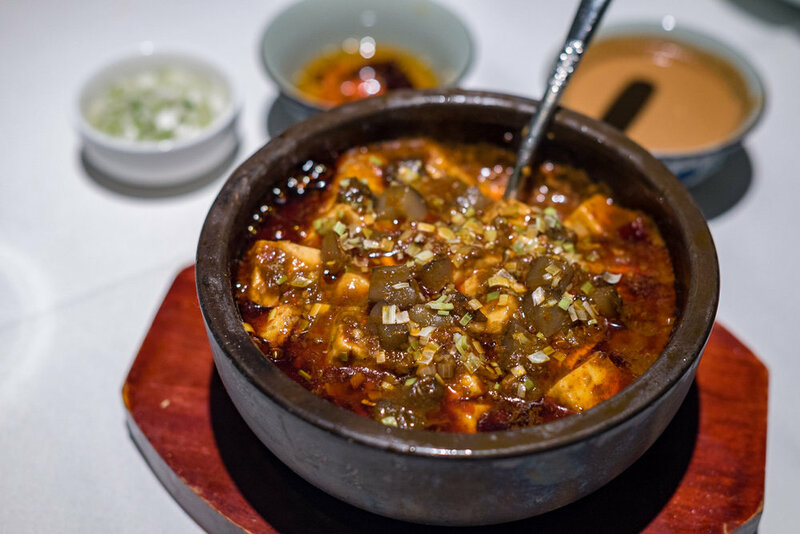 Beijing has amazing food and even though I am not able to share every single restaurant that I have been to throughout my trips to this city, I can most certainly pick out three of my absolute favourites - put these restaurants down on your list of places to go and thank me later! Seriously this is top of my list - the 漢舍川菜馆 (pronounced as Han She Chuan Cai Guan) which is located within the China World Mall (国贸商城) has the most polished, delicious and spicy sichuan food ever. Obviously this is not for the faint hearted and this is definitely a slightly more fancy place as compared to a typical sichuan restaurant but the dishes here are incredible! There is unfortunately no proper English name to this restaurant but if you find yourself at China World Mall and simply show the name of the restaurant to someone local, he or she should be able to point you towards the right direction - the restaurant is located on level four of the China World Mall. If you are looking for recommendations (and assuming you can take the heat), my favourite dishes are the Sichuan Pepper Frog Legs (花椒蛙腿), Roasted Pigeon (烤乳鸽), Garlic Prawns (金蒜辣椒大虾) and the Chilled Chicken (生嗜三杯鸡). Everyone is going to tell you to go to Da Dong Roast Duck (北京大董烤鸭店) but my advice to you is, don't. Well, unless you don't really care about money then please go ahead. There is no doubt that Da Dong Roast Duck (北京大董烤鸭店) may offer the best peking duck in China (as far as a restaurant chain is concerned) but if you are looking for a great dining experience, good food and reasonable prices, I cannot recommend Si Ji Min Fu (四季民福烤鸭店) enough. The restaurant has a number of outlets and they should all taste the same (I hope!) so pick one that is closest to your hotel. The Peking Duck (特选酥香嫩烤鸭) is legendary - whatever that you have eaten in Singapore is a joke compared to this. In fact, you would be surprised that the price of a peking duck here is less that half of what you would expect to pay in a good Chinese restaurant in Singapore. Learn to eat it the Beijing way as well - watch what your neighbours are doing silently and imitate. Apart from the duck, almost everything else that I have tried is really good - my personal favourite is this Mapo Tofu (麻婆豆腐) with sea cucumber. Who would have thought that tofu and sea cucumber would go so well together? If you love craft beer, Beijing is going to a dream destination for you. One of the places that I have previously checked out is the Beersmith Gastropub (鲜啤吧) which sits on street level of the Hotel Jen Beijing. I have covered this restaurant more extensively in a previous feature and if you would like to know more about it, I would highly recommend that you read that article instead. Where Else to Go in Beijing? There are plenty of shopping malls in Beijing and you should try to check some of them out (particularly the ones in Guomao and Sanlitun). The malls in Beijing are extremely modern and they look like something from the future. Watching how the locals use WeChat Pay and Alipay so effortlessly puts a shame to the state of mobile payment in Singapore.